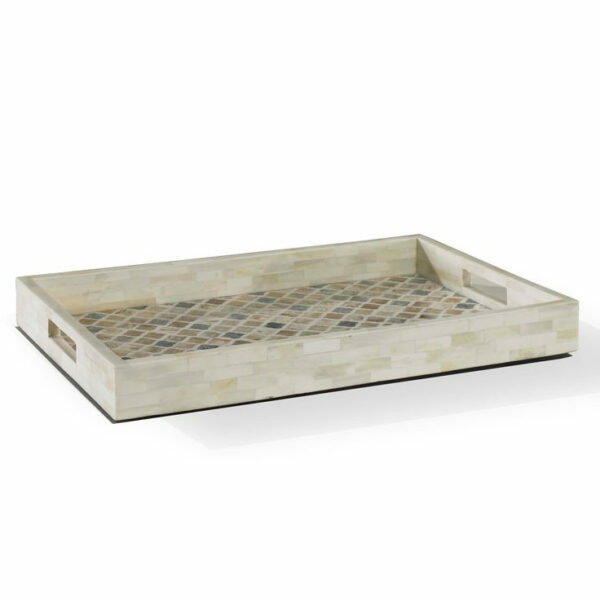 The Charleston Tray has and a stylized antique bone pattern that adds architectural interest juxtaposed against the ivory bone sides. Bone is a natural product and each piece will be unique. Antiqued Ivory Bone and Antiqued Bone Tiles.